WALNUT — The Sabers/Saberettes Youth Basketball Organization announced on Thursday that Michael Miyamoto passed away after an 11-year battle with leukemia. Just last week, the organization asked the community to donate blood platelets to the 18-year-old Sabers graduate, the youngest child of Lindsay and Phoebe Miyamoto. Potential donors were asked to make an appointment with City of Hope in Duarte. 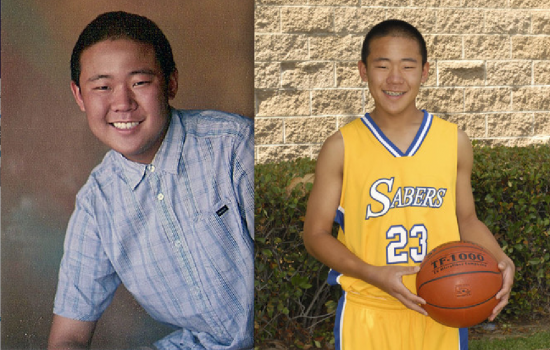 A recent graduate from Walnut High School, Miyamoto played with the Sabers Wizards since the first grade. After being diagnosed with leukemia at age 7, he went through three unsuccessful chemotherapy treatments. Last year, after the community’s diligent support to find a bone marrow donor, he received a bone marrow transplant. Nearly one year later, tests revealed that the transplant was unsuccessful and that he had 95% leukemia in his marrow. Miyamoto was undergoing extensive treatment at City of Hope to slow the spread of the leukemia, including daily blood and platelet transfusions. His next option was to undergo an experimental trial. He was in need of platelet donors as he prepared for this procedure. The Sabers/Saberettes’ 2012 scholarships went to Miyamoto and Bryce Kato for exemplifying academic achievement, teamwork, discipline, and community service. “East San Gabriel Valley Japanese Community Center and Sabers/Saberettes Youth Basketball Organization are deeply saddened by the loss of our own player Michael Miyamoto,” said Sabers/Saberettes President Brandon Leong. “His 11-year courageous battle has been an inspiration to so many of us in the community. The entire organization is rallying together to send our love and thoughts to the Miyamoto family. I encourage everyone to register as possible bone marrow donors with the Be The Match national marrow registry (match.org). The need is especially great among racial minorities, who are under-represented in the registry. This is important because the probability of finding a matching donor depends mostly on ethnicity. You can register at one of many donor drives put on by Asians for Miracle Marrow Matches (A3M): http://www.asianmarrow.org/index.php/drive-list. Registration is very simple, a cheek swap is taken for preliminary screening. All registrants with A3M become part of the national registry.